0	0	Very First Easter	In Stock - Order before 4pm for same day dispatchWant it on Wednesday 24 April? "The Very First Easter" introduces children to one of the most important and moving stories of all time: Jesus' death to save us from our sins. Readers learn the events leading up to Jesus' death and his miraculous return to life. The popular and vibrant artwork and simple text from "The Beginner's Bible" help children understand why we celebrate this special day. Very First Easter by Catherine DeVries was published by Lion Hudson in January 2010 and is our 80th best seller. The ISBN for Very First Easter is 9781859858578. 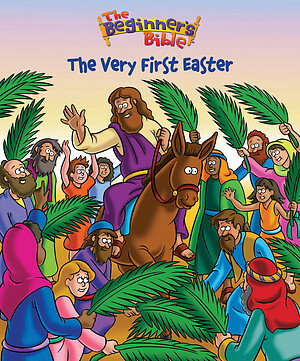 This is the Easter story taken from The Beginner’s Bible and produced in slim paperback format. An ideal little present for a young child, to help them understand why Easter is such a very special celebration. Got a question? No problem! Just click here to ask us about Very First Easter. What age group is this recommended for? A:This book is recommended for pre-school years.